Plus: Biggie appears at Coachella, too! Sort of. 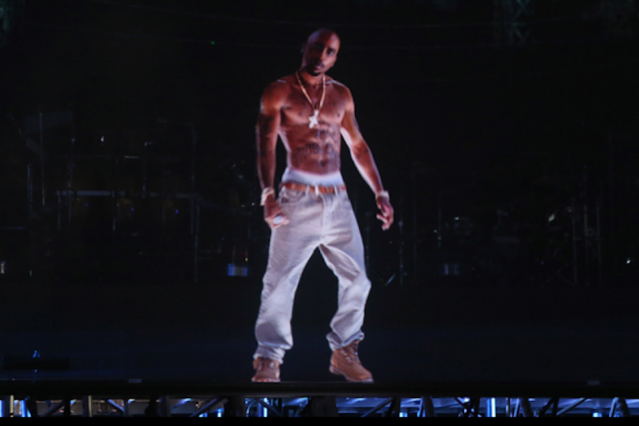 It’s the one-week anniversary of the day we couldn’t stop talking about the weird hologram version of Tupac Shakur that joined Dr. Dre and Snoop Dogg during their headlining set at Coachella. Actually, the world spent most of last week obsessed with the 2-D rendering of the slain Cali rapper and rumors Dre would take ‘Pac on the road. Incredibly wealthy Dre found time to address that possibility at Coachella’s second weekend in a video PSA for Interscope (via Dajaz1). “This was strictly for Coachella. I want to get rid of all the rumors out there,” Dre said from the canopied VIP section. “This was not done for a tour.” Well, now we can all sleep soundly, knowing that — wait, he wasn’t done! “If the tour happens… we’ll see. But it was done strictly for Coachella.” Back to insomnia and daydreams of the economically tour-ready Holo-Pac.